So here we are!!! hello MUMMY!!! Its the middle of summer, and as far as i have experienced, its similar, but more intense, than Barcelona´s summer heat. Its humid and burning. and Tiffany loves it... Of course, Albert and Jett will be swooning by the pool sipping icy beer and licking icy poles, respectively. 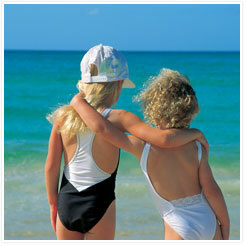 Tiffany was 8 when she moved to the Gold Coast and 14 when she moved back to Melbourne. Since then she has often been back to the golden beaches to visit her family. Jett Edan was born on the Gold Coast in the Southport hospital in 1999. 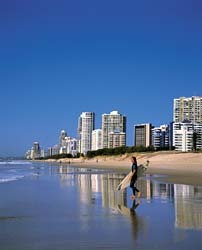 The Gold Coast is a top tourist location. 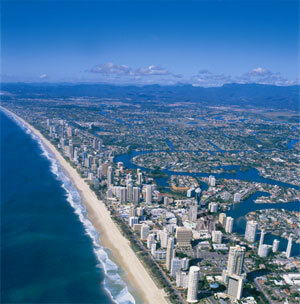 Queensland´s motto is ´beautiful one day, perfect the next´. We have the wide expanse of the Pacific ocean with long golden beaches (ie the GOLD coast), and not more than 30 minutes away, we have the hinterland where all the scandies pretend they are back where they came from... its quite charming and much cooler up there. Not far out back, we have the DESERT. 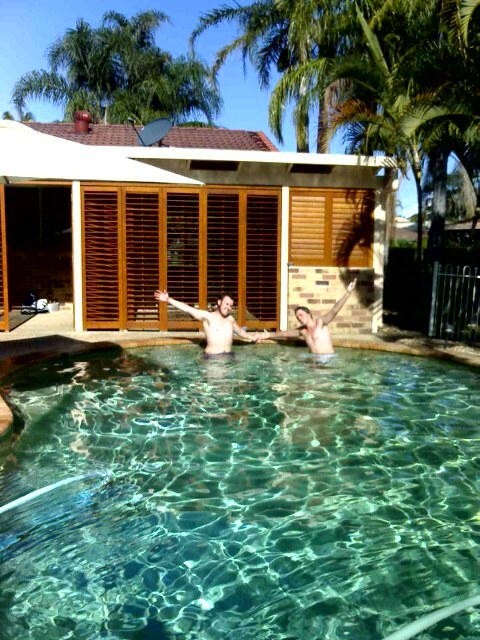 Brisbane is 45 minutes away by car. Everything is relatively close, considering the long distances between capitals in Australia. Ginny and Bill (otherwise known as nana and granddad) will take us in their hands and house, for this first days and very easily a month more. Thanks in advance akready for your thoughtfullness on setting your house ready for us! We will get into Brisbane at 5.45 in the morning, in a Virgin Blue flight from Darwin. And Tiffany's parents said that they will happily come to pick us up. Imagine that. I guess it is mother's love... :-) After the first moments of remeeting, we can finally go home, in Helensvale, and rest properly in something than we will be able to call home, after this long time of nomadic life. But this is nothing, because after settling it a little bit in Australia, we are seriously planning to acquire a van and drive around for some months. This, anyway, will be part of another website! If you got til here, thank you very much for your patience and interest. We expect this website has been entertaining for you, and we wish happy travels to you all!